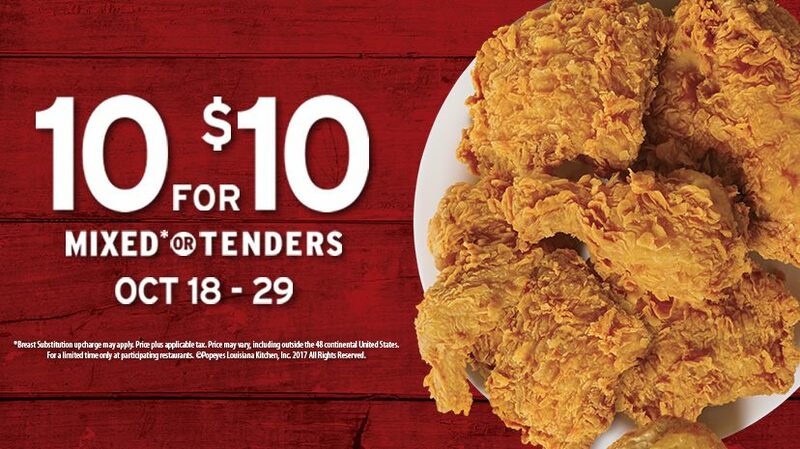 Popeyes Louisiana Kitchen West Palm Beach is located at 2825 N Military Trl West Palm Beach, Florida 33409 USA. It has ample space for car parking for its customers. Popeyes Louisiana Kitchen was founded in 1972 in New Orleans and famous for its delicious food and unique taste. Popeyes Louisiana Kitchen has more than 40 years of history in cooking delicious food. One of the main reason behind the taste of Popeyes is that its cuisine consists of professional and experienced chefs who always use fresh ingredients and exercise slow cooking technique to ensure healthy and tasty food. The New Orleans style menu of Popeyes Louisiana Kitchen consists of spicy chicken, chicken tenders, fried shrimp and other regional items. Popeyes won Restaurant News Menu Masters Award in 2011 for Limited Time Offer: Wicked Chicken. Popeyes Louisiana Kitchen after its inauguration, they became popular and successful gradually because of its delicious menu and won the hearts of its customers. They have more than 2700 branches all around the world and the USA. Some of the successful introduction of Popeyes Louisiana Kitchen menus over the years are as follows; the famous fried chicken in 1976 and biscuits in 1983. Popeyes Louisiana Kitchen West Palm Beach is located at 2825 North Military Trail. West Palm Beach, Florida US. Popeyes Louisiana Kitchen West Palm Beach is an American restaurant type of establishment offering authentic US food. Come on by or give us a call during business hours if you have questions (561) 689-7767. This site for Popeyes Louisiana Kitchen West Palm Beach was set up to enhance this client's Internet presence and grow the WebPage Depot online business directory. WebPage Depot is designed for local directories and a complete business directory. This free business listing site provides a fully functional website. The WebPage Depot site marries seven social media accounts (if available), google maps, large pictures, a contact us page (protecting the client's email address), a link to the client's original website and relevant Youtube videos. Additionally, we write an original text Welcome Message. WebPage Depot does make some assumptions, sanguinely, for the benefit of the client. We write everything from a positive context. Our goal is to move-up the visibility/ranking on this site to the highest level possible. Improvements to ranking come with additional relevant content. To continue this effort, we will need help from the client, i.e., menus/list of services, specials, current pictures and videos and additional text for the Welcome Message.